Click on the side bar galleries to view and navigate paintings on this site and Irene's Astrology Consultations. Astrology readings can be done in person, by phone, by Skype or by FaceTime. expand your perceptions of love. or you can buy a hand signed edition by the artist-Black&White-$18.00 + $5.00 S&H. Full Color Edition $33.00 + $5.00 S&H. Email me and I'll bill you through PayPal. 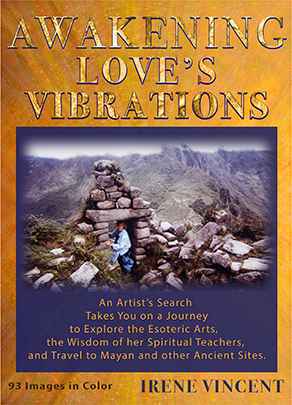 Awakening Love's Vibrations is available for $4.99 in E-Book. question from "What are the problems?" to "What are the Solutions?" Right now so many people in the world have taken sides and there are no solutions in taking a side. Beliefs, the "I know it all" syndrome, closes down our creative faculties. Strong Beliefs close down possibilities and our heart's wisdom. "Universal Love" carries with it clarity of mind, kindness, and compassion. Clarity of Mind carries with it solutions for the greater good of all. love shows up in unexpected ways. and wisdom. She explores esoteric practices, has magical and healing dreams, and is inspired to travel to Mayan ruins and other ancient sites. becomes a consciousness-raising tool, bringing mystical experiences. seeking and igniting your heart vibrations of universal love, joy and bliss. uniquely change this world to be the world we love to live in." Wow! What an inspiring book. Rarely are people brave enough to actually take chances and pursue meaning in their lives no matter what. Yet that is what this author, Irene Vincent has done. In her search for a life filled with not only joy and kindness but also deep meaning, she follows pathways of symbolism and creativity, meeting many wise swamis and spiritual teachers along the way.She also travels to and explores many interesting and powerful ancient sites. Her adventures are fun to read about and the lessons she learns are inspiring. But the best part of this book is the amazing artwork that she creates along the way. Each piece is beautifully depicted along with insightful explanations of their symbolism and meaning.This is not only a fun and enjoyable book to read, it is also a book I will treasure for all the beautiful artwork and photographs. I can't wait for the next book in the trilogy to be released. I loved this book! I read it very quickly, because I found it so interesting, so now I am reading it a second time. The previous reviewer really expressed all of my thoughts already. I was impressed by the way Irene's life unfolded, presenting her with excellent teachers, mentors and partners every step of the way. She is a very courageous spirit, able to discern her opportunities and then act upon them fearlessly. I loved the descriptions of the places she visited, the homes she created, and the artwork's inner meaning and symbolism. It was especially interesting to learn how her projects evolved. I think this is a very worthwhile read and a Keeper. It will stay on my bookshelf always. many cultures, along with exploring the esoteric arts. were leading her to a spiritual understanding of life, transforming her soul." I was glued to my Kindle till finishing this book. captures your attention immediately as young Irene becomes aware of the Universe and her possibilities. and find joy in the journey. I wish the "sequel" were available right now. Her story is not over. Thank you Irene for sharing your adventures with us. once more reflect upon my life and it had a healing effect." late 80's. I can see it as a movie." Buy eBook at iBookStore, Kobo or eBookPie, etc. "In 1984, I met Swami Sivananda Radha. 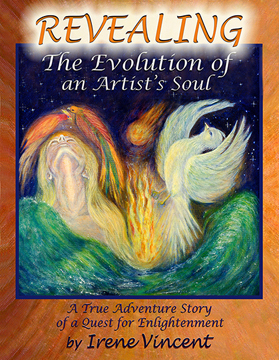 After hearing my story of escaping poverty, managing an education, of becoming a dedicated artist and yet having a business at the same time, thereby becoming financially independent, she encouraged me to write this book, which has turned into a Spiritual Journey Trilogy." "Friends and people who have read my book, call me and tell me how memories of their own life's adventures and close intimate moments with the divine came flooding back to them. And that they are happily sharing their stories and my stories with their friends and families." Follow my Blog: IrenesMysticalMoments Please share your feelings, ask questions, and give comments. visions, creativity, dreams, insights, contemplation, and symbolism. To view and purchase Irene's art images on kids and adult clothing, water bottles, cups etc. at CafePress. Over the past 30 years, I have pursued self-expression through figure-drawing, painting, sculpting and pottery. Figure drawing and painting have been my first love. The content, symbolism, and technical expression of my paintings are interwoven with my philosophical contemplations, visionary experiences, and life experiences. I have traveled through Europe, Greece, Egypt, North America, Mexico, Central America, South America, Tahiti, Thailand, and India, visiting art museums, ancient ruins, temples and the peoples. 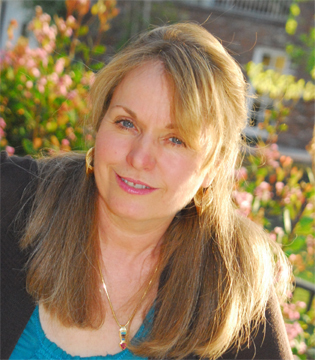 I have participated in many artist groups and self-awareness groups such as: Jungian Dream Analysis, Art Therapy, Dance Therapy, Self-encounter, Astrology and Eastern Spirituality. I have become the student and friend of many yogis and healers and have sponsored their visits and lectures in my home. I teach art, as well as, yoga and meditation. I also give astrological readings. I honor all beings, Mother Earth, and the Divine Cosmos. Over the years, I have painted a geometric series, a surrealistic series, an abstract stain painting series and a political art series which on the flip side led me and my art into mysticism, visionary experiences, and shamanism. For a period, the images of my political paintings reflected the darker side of society, such as, missiles, politics, sexism and war. I painted these images hoping that society would reflect upon these, and thus raise its consciousness. However, I found that the morbidity of these chronic cycles of war and pain only enhanced my own sadness and pain. I wanted to paint images to alleviate humanities pain. I contemplated upon love, prayer, and healing. I contemplated, "What is the highest form of love, beyond and without personal sentiment?" I questioned how could I transform my political images into prayer, blessings, and healing images. The painting "Missiles and Coffee Cups" and the sculpture "Missile Totem" led me into shamanism. Both these art works started as a satire on society, but then I turned the painting experience into prayer and ritual by adding healing elements. My paintings now symbolize the seeking of oneness through the union of opposites, such as, the male and female, heaven and earth, the human and the universe, etc. When using acrylic paint, I paint spontaneously flinging liquid transparent layers onto the raw canvas. This experience feels primordial, because I get a sense of connectedness with the cosmos when I attempt to create images of stars, planets, and galaxies. Then I paint in more detail with both thick opaque textures and glazes. The transparent layers absorb into the canvas to convey depths of space and colorful vibrations. The textures create light reflections. For me it is a symbolic parallel of the inner depths of the Self and the outer expanses of life and space. I use color for its symbolism as well its compositional effects in space. I paint large areas of color as well as fine details. I love to paint large mural size paintings so I can dance using my whole body movement in the process of creating art. A large painting encompasses the viewer as well as draws them into the image. "Seeking Oneness" is made of seven canvases bolted together to form a twelve feet equilateral triangle. "Divine Ecstasy" has a five foot nine inch square canvas bolted over a nine feet circular canvas. My artwork is said to be surreal, magical realism, visionary art, mystical art, figurative art, mythical art, etc. In 2002, I met Prof. Philip Rubinov-Jacobson who is a brilliant Visionary Artist who teaches Mische' Technique (Egg Tempera and Oil), also known as old master technique as developed by the artist Van Eyck. I studied this technique with Philip, during his wondrous 2-3 week workshops in Austria in 2002, Italy in 2003, Germany in 2004, and Austria in 2005. I also studied a similar technique with Robert Venosa and Martina Hoffmann in Cadaques, Spain in 2006. They had all studied under Ernst Fuches in Austria. Mische' Technique is a wonderful medium for Visionary and Fantastic Art. With the white egg tempera, I feel like I am painting with white light. The egg tempera paints very fine lined details as well as giving great illusions of water and atmosphere. Between the fine detailed white brilliance and the layering of colored oil glazes, the paintings emanate a jewel-like brilliance. I'm always learning and experimenting with new techniques to create beauty, as well as express my philosophical thoughts and symbolic images. I hope you enjoy the exhibit. Please feel free to email me with any of your comments or thoughts.